The chip and pin system is a way of ensuring that all credit card and debit card transactions are secure. Instead of just swiping your credit card and signing the receipt, you will be required to enter a code number as well. It is an innovative way of ensuring that there is much less use of stolen credit cards. The problem is that the United States is a little ways behind the technology and does not operate on this system yet. You will find that many smaller shops will accept the US cards that just have the magnetic strip at the back, but automated teller machines and other automated systems will reject your card. It can be frustrating when you are trying to catch a train, and there is a long line of people in front of you paying for a ticket with cash, and your card won’t work at the ticket machine. While you are waiting to get a bank account, or know that there will be some delay in getting a bank account, then the best thing that you can do is to get yourself a travel card that is pre loaded with cash from a US bank, and comes with the chip and pin system. 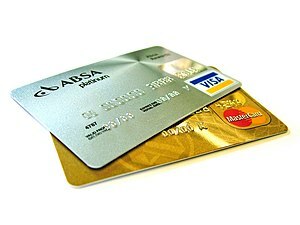 You will easily be able to transfer money onto the card and use it like you would use a debit card. It might also be a good idea to alert you bank in your home country ,as to the fact that you will be travelling overseas and they do not have to issue a fraud alert when they see a £10 charge for some groceries at Tesco! Most banks rely on software that triggers an alert when your spending patterns deviate wildly, and they will be on alert if you are suddenly buying very different things in a different country. If you are moving to London for work then you should ask your new employer to help you set up a bank account as soon as possible. They will be able to provide the proof you need to get one opened immediately, which will mean that you can get a debit card with the magic ‘chip and pin’ installed.